I was so excited to find out about the new eBook being offered at The Better Mom. 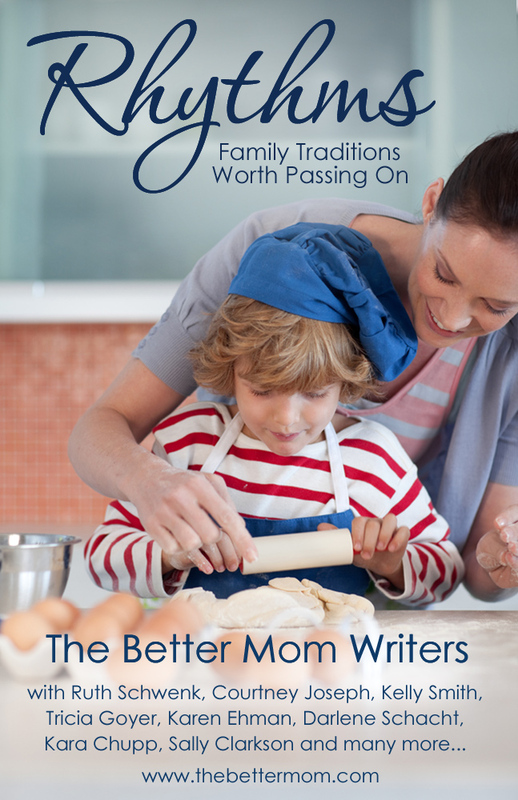 In honor of Mother’s Day, you can download the free eBook Rhythms: Family Traditions Worth Passing On when you subscribe to the blog. This free eBook was written to encourage and inspire parents to build family traditions of their own. There are sections on weekly, year round, seasonal, and Christmas traditions. I’ve only skimmed through it at this point, but it already put a big smile on my face and I can’t wait to dig in more! This is a book about family rhythms. Each of them, in their unique way, is a family tradition meant to instruct, inspire, and help pass on memories worth remembering. Our hope is that these family rhythms will help you to establish your own traditions worth passing on to the next generation!